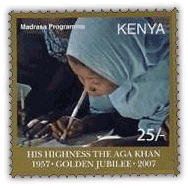 Hazar Imam or Prince Shah Karim Al Hussaini Aga Khan is a British Shia Muslim imam and business magnate. 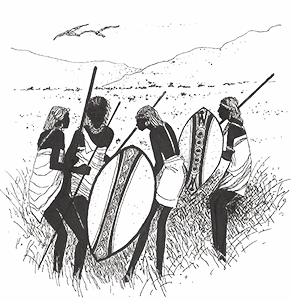 His following in Eastern Africa extends to great recognition for his religious role and aid work. Given the fact that there are several development aid institutions, including health and education services with his name on it. 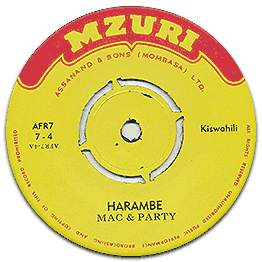 In occasion of his 1981 visit to Kenya this single was issued by Ismailia Women’s association. Sung in Swahili ‘Karibu Karim’ delivers classical Indian instrumentation spiced with a cool 80s synth, catchy chorus in a trad meets modern package. Notice the slight taarab feel over the arrangements. Sadru & Zeenat Kassam on vocals. Music by Shiraz. Lyrics by Mansoor. Enjoy! About time we brought out another Taarab single, it’s taken a while as they are bloody hard to come by. Some of the bigger Kenyan Taarab labels like Pwani, Mzuri seem to be hard trace even in sales and auction lists. Taaarab is coastal music, Arabic fused rhythms of the Swahili coast, expanding from the south shores of Tanzania, Zanzibar and to the north shores of Lamu in Kenya. Often in small settings with Harmonium, wooden flutes and indian percussion. Omari is praying for his dead parents and he see them in his dreams. 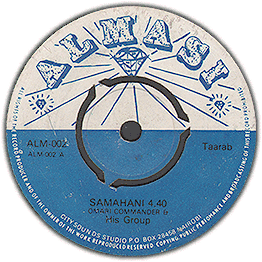 “Samahani” is a song about forgiveness.